The so-called Ljubljana wheel, discovered in a marsh in central Slovenia, around 3200 BCE. Made of ash wood, its radius is approximately 70 centimeters, and it was fixed to a rotating axle on a two-wheeled cart. Asked to name the greatest invention ever, nine times out of 10 most people might say, "The wheel, of course." And how was it invented? "Why, it started thousands of years ago, with log rollers, and when someone cut off the end of one, you got a wheel." But actually, where and when was the wheel invented first? And what impact did it really have? Perhaps it began in Eastern Europe, in the Carpathian Mountains, around 3600 bce, when mineworkers, exhausted by lugging baskets of copper ore out of tunnels and trenches, put them on a plank fitted with four wooden disks and began rolling them—very roughly no doubt—to the mine’s entrance. This wheeled ceramic bull was found in western Ukraine and dated to the early to mid-fourth millennium BCE, which makes it the oldest known object to have used a wheel. It is on display in the Museum of Cultural Heritage in Kiev. 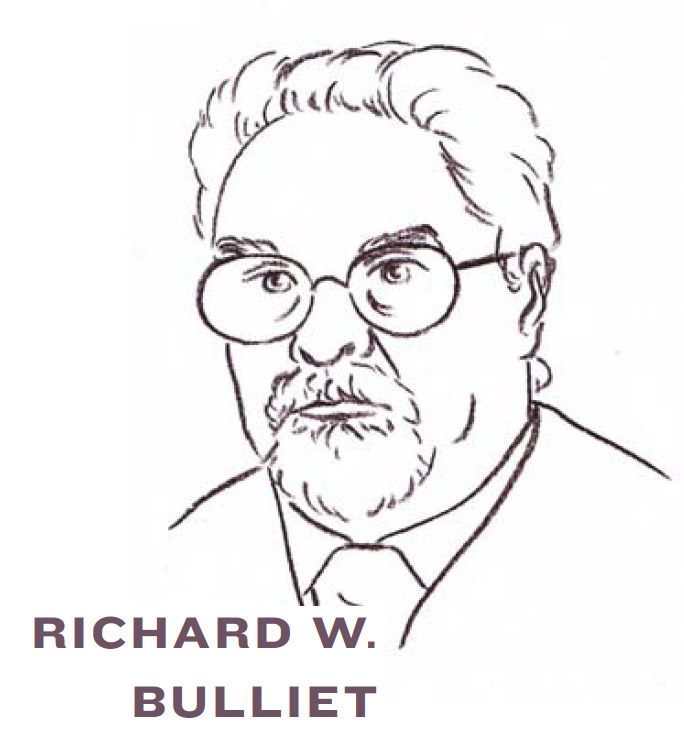 That’s the hypothesis of Richard W. Bulliet, who had taught both Middle Eastern history and the history of technology at Columbia University from 1976 to 2015 and last year authored The Wheel: Inventions and Reinventions. His book takes on several generally accepted theories, starting with the long-held belief that the wheel came out of Mesopotamia. Despite the wheel’s almost elemental simplicity, it turns out that its pedigree follows, we might say, a very long and winding road—and not even just one road. The closer one looks, the more its origins and history are fraught with conjecture—enough to generate countless papers and numerous books. Over email exchanges early this year, I moderated a discussion of the wheel among Bulliet and three leading experts in the history and the archeology of technology. 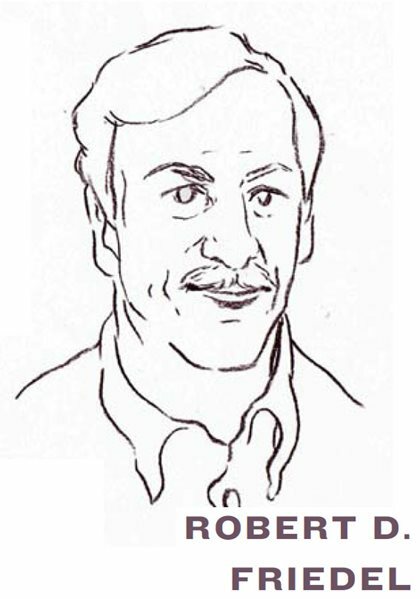 We took up four of Bulliet’s most contentious ideas. 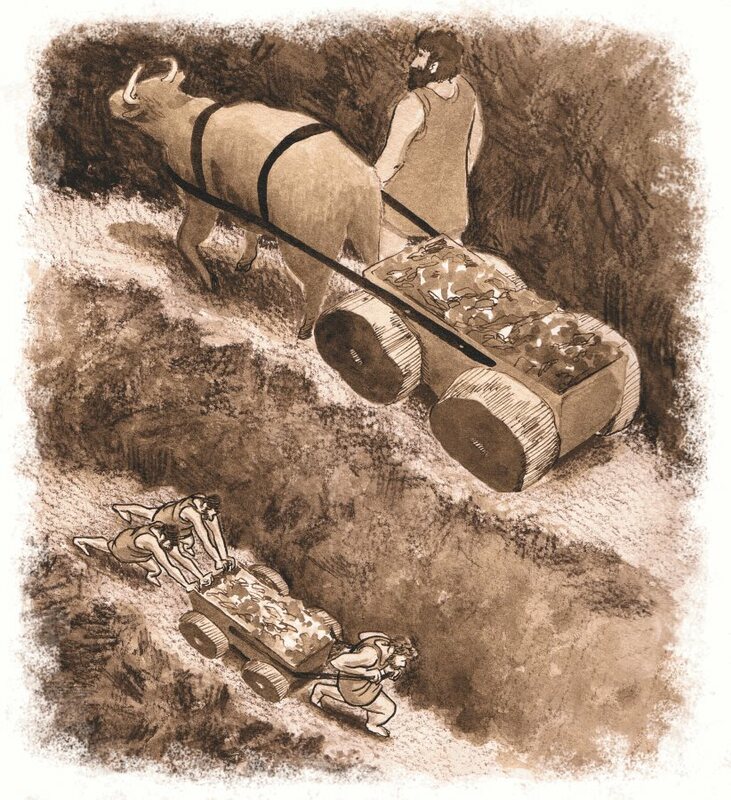 Men tired of lugging copper ore from mines in the Carpathian Mountains in Eastern Europe may have been the first to engineer a wheeled cart around 3600 BCE, argues history professor Richard W. Bulliet. That’s some 700 years before the wheel appeared in Mesopotamia. Where, and when, was the first wheel used? Eastern Europe, says Bulliet, citing carbon-14 (C-14) dating of wheels and models of wheeled vehicles recovered in the Carpathian Mountain region of Hungary and neighboring countries. The C-14 data, he says, indicate that wheels appeared there around 3600 bce. This precedes the date of approximately 2900 bce proposed for Mesopotamia by British archeologist Stuart Piggott, who bases his conclusion on pictograms on clay tablets from the Sumerian city of Uruk. 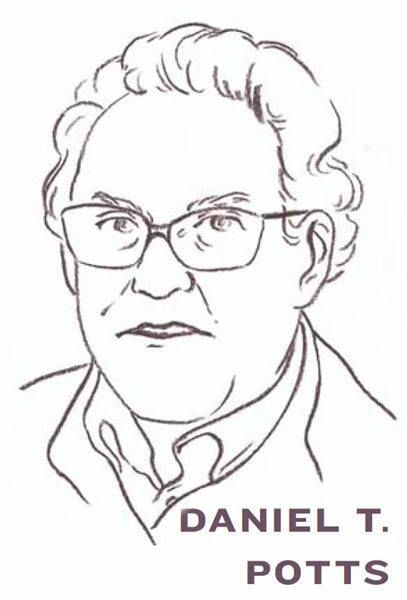 Piggott’s thesis, posited in The Earliest Wheeled Transport: From the Atlantic Coast to the Caspian Sea (1983), has been generally accepted—until now. 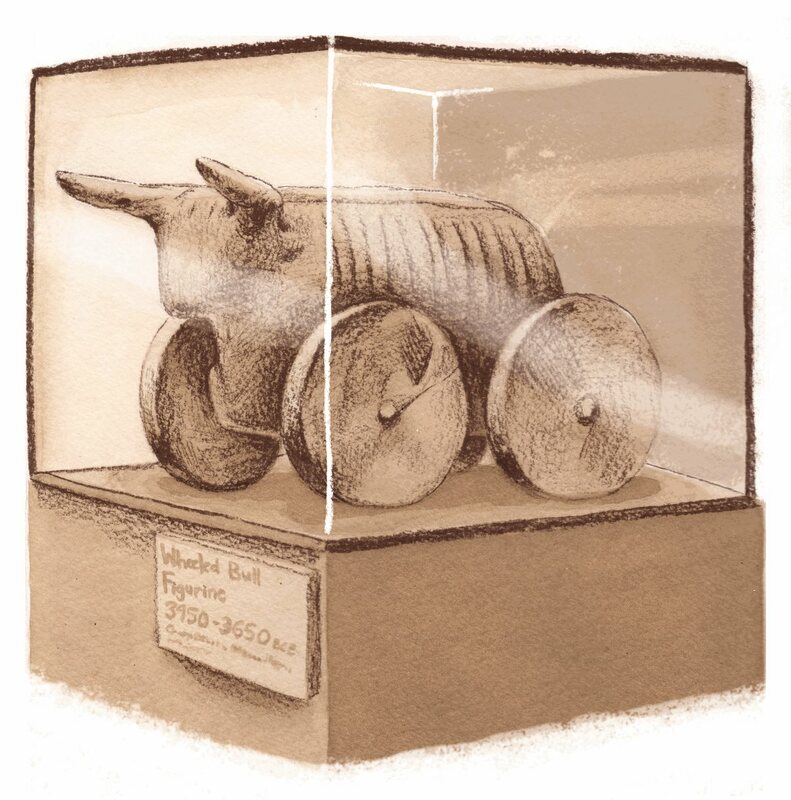 Bulliet says the earliest known example of an object with wheels is a figurine of a bull found in the Carpathian Mountains of western Ukraine that dates between 3950 and 3650 bce. Fragmentary remains of cart-size wheels found in southern Germany and at the Slovenian capital of Ljubljana, all from the same general time period, corroborate this. 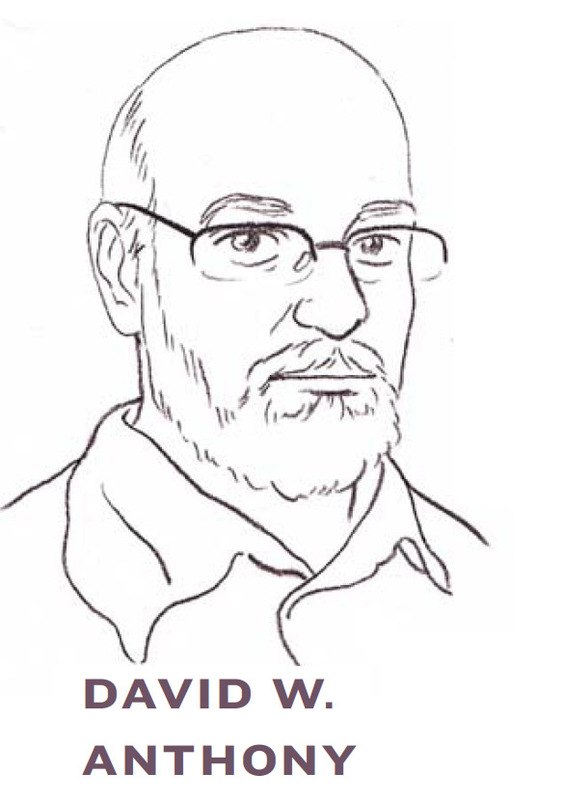 Daniel Potts, professor of ancient Near Eastern archeology and history at New York University’s Institute for the Study of the Ancient World, agrees with Bulliet’s premise that “the European evidence of wheeled vehicles predates that known from the Near East.” But he argues against Bulliet’s suggestion that the earliest four-wheeled vehicles functioned as mining carts. Gravesite finds from that region and time period show the rarity and small size of metal objects, which suggest that less metal was then being used in the region compared to the earlier Middle and Late Copper Age. “Indeed, to find such small numbers of metal artifacts in this region, one must go back to the Late Neolithic, over 1,000 years earlier,” Potts says. Bulliet interprets the situation differently. He contends that declining copper use may have underscored rather than undercut the need for advances in mining efficiency. “Inventions to improve the yield or efficiency of something frequently coincide with a gradual failure of traditional methods,” he says, citing Newcomen’s engine for pumping water from mines in 18th-century England and the development of water injection in the early 20th century to boost production in older us oil fields. “Scarcity in comparison with an earlier period does not necessarily mean reduced interest or perception of value,” he adds. Flat depictions of what scholars believe are four-wheeled wagons are incised on a ceramic pot from southern Poland dated to the middle of the fourth millennium BCE. Although they appear to offer proof of early wheel use in Eastern Europe, scholars are still debating where the wheel originated. Bulliet concedes that Carpathian miners more likely used pits and trenches rather than tunnels. But he also thinks mine carts may have been hauled by men rather than by animals—another long-held assumption about the development of the wheel. “No yoked team of oxen could have been used in a meter-wide trench, which is what Anthony describes, but a small mine car of the sort I have conjectured might have been,” he says. In view of the wheeled models and figurines from the time that show animal heads, “maybe some animal-drawn ore cars were used to carry ore from the trench to the smelter,” he adds. What were the first wheels like? Bulliet hypothesizes that wheels initially appeared as wheelsets: pairs of wheels fixed to each end of an axle, with the whole assembly rotating as a unit, much like modern rail cars, rather than each wheel set to rotate independently at the end of its axle. He further asserts that their invention had nothing to do with the log rollers conjectured to have been used in Antiquity for heavy construction. 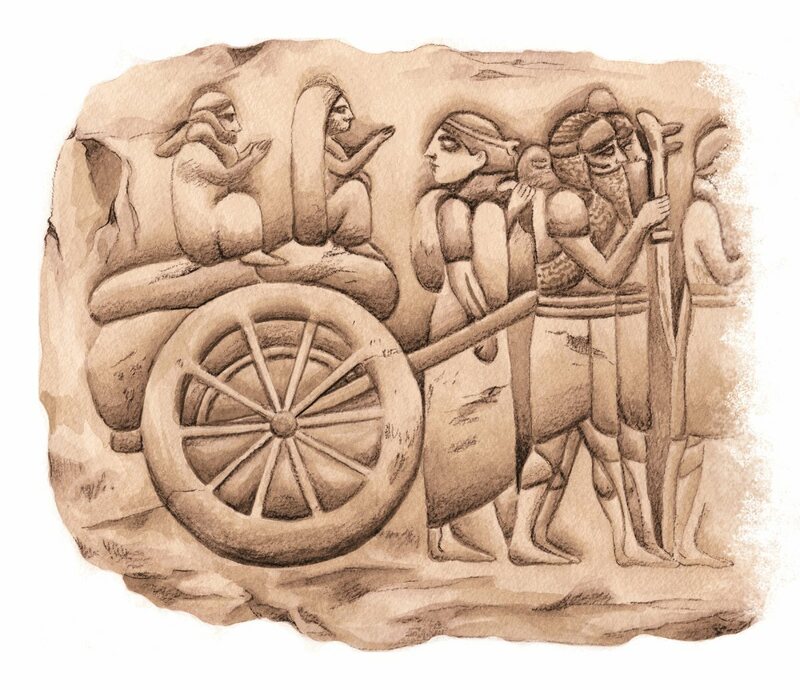 By about 3000 BCE, Sumerians in Mesopotamia (now Iraq) were making use of the wheel, and it was firmly established by the time this Assyrian relief showing a wagon carrying prisoners of war was carved at Nineveh, in northern Iraq, about 700 BCE. Offering evidence from several locales, Potts takes issue with Bulliet’s claim that the earliest wheels were wheelsets. “The ceramic wagon models of the [Carpathian] Baden culture, particularly the example from Balatonberény in western Hungary, show openings for the insertion of axles made of some other material, presumably wood,” he notes. Anthony believes Bulliet’s argument against the wheel’s log-roller genesis is reasonable, but he doesn’t think that the wheelset is the oldest example of wheel technology either—particularly if the wheel’s speculative connection to mining is not accepted. “Circular hubs are found in all of the preserved wooden wheels in the steppes,” he says, noting that two have been radiocarbon dated to about 3000 bce, and some Western European wheel finds date to 3000–2800 bce. “So it’s not correct to say that no freely revolving wheels are dated to this early period. All of the model ceramic wheels seem to have circular holes” to revolve freely on an axle, as opposed to a square hole, which would imply that the axle rotated along with the wheels. Why weren’t wheels used in the Americas before Columbus? To date no evidence exists that pre-Columbian peoples of the Americas used wheels for transport, even though wheels appear on toy animals found at several locations. This is generally explained as a consequence of the lack of large animals suitable for domestication—a view upheld by historian Jared Diamond in his bestseller Guns, Germs, and Steel: The Fates of Human Societies (1997). 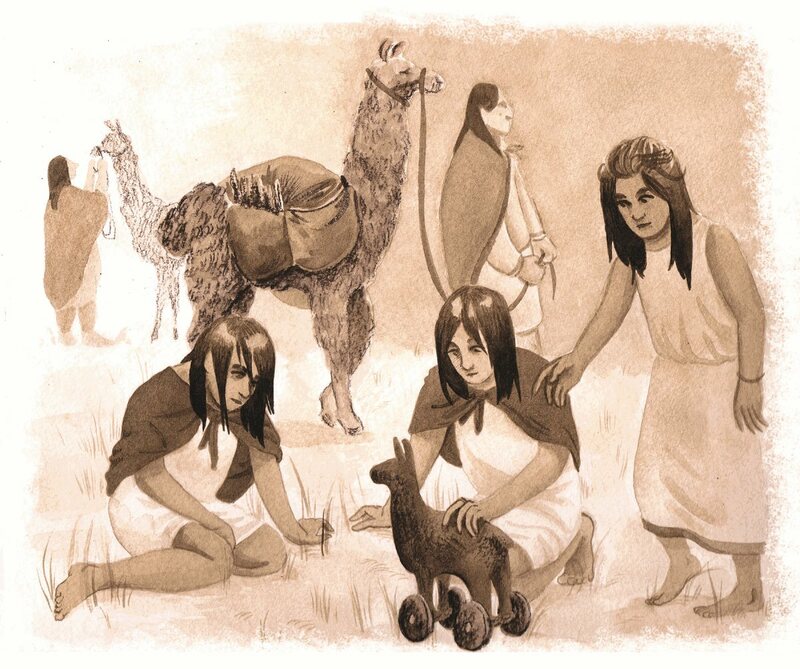 In the Americas, toy animals on wheels have been found at several pre-Columbian sites, but there is no evidence that peoples there used wheels for any kind of transport or portage; rather, they used llamas and dogs to carry loads and pull sledges. Did use of the wheel spread rapidly? Anthony states in The Horse, the Wheel, and Language that regardless of where the wheel-and-axle principle was invented, the technology did spread rapidly over much of Europe and the Middle East between 3400 and 3000 bce—a view shared also by Piggott. But Bulliet wonders how this assumption played out in places like Mesopotamia. The first wheels in Europe may have preceded the earliest Sumerian pictograms showing wheels, but the earliest actual depictions of Mesopotamian vehicles bear no resemblance to the designs from the Carpathians or the Black Sea Plain. Moreover, Bulliet notes that wheeled transport existed in Mesopotamia from 3000 bce but was absent in the contemporary and equally sophisticated Egypt, with which it had regular contact, until around 1600 bce when the Egyptians adopted the war chariot. Wheeled transport required good roads—which were few in Europe from the fall of the Roman Empire in the fifth century CE until the 17th century. 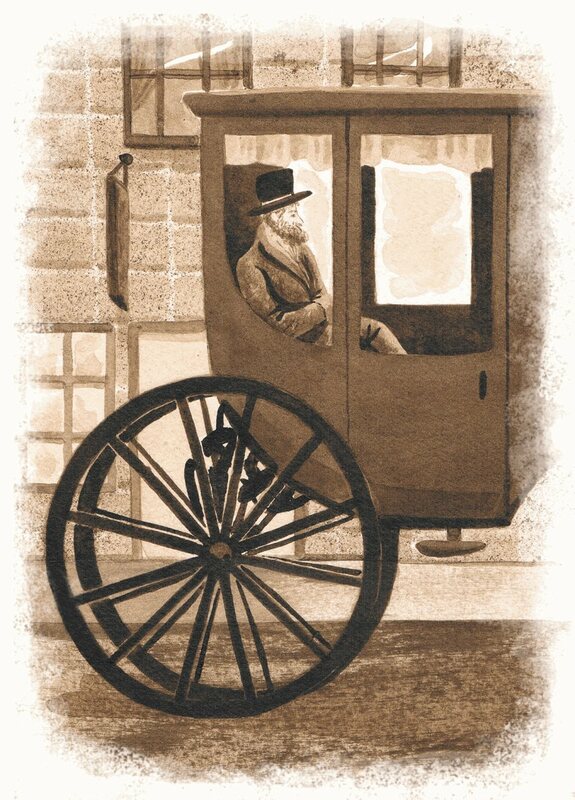 Only then did aristocrats move from horseback to cushioned carriages. Bulliet hypothesizes that the wheel didn’t quickly catch on, nor did it change the world immediately after it was invented. Cross-country wheeled transport did not spread rapidly, and certainly not explosively. In most agricultural lands, roads were almost entirely just well-worn pathways. Bulliet figures that Europeans, in particular, made only limited use of carts and wagons all the way from the end of the Roman Empire in the fifth century to the 17th century ce when aristocracies became enthralled with carriage riding. China adopted the technology of four-wheeled transport from the Mongols who invaded in the 13th century ce and eventually transferred that technology into the military realm, he says, but no pattern of private use of four-wheeled conveyances by the civilian elite ever developed. Potts points to a centuries-long gap in wide-scale wheel use in Persia. “I have seen countless references in the works of 18th- and 19th-century travelers deploring the lack of roads,” he says. “But I also know, for example, that the Assyrians deployed chariots in their campaigns against the peoples of the Zagros Mountains” during the ninth to the seventh centuries bce. He says these are mentioned not just in the royal annals, but also in the much more mundane correspondence among Assyrian officials, military commanders and their superiors. Anthony believes wagon transport was widespread in Italy in the Roman era. “I would say that wagons were useful where roads were good or the country was relatively flat, except in sand deserts,” he says. Meanwhile, medieval European manuscripts, tapestries and paintings show wagons being used to carry hay. Covered wagons are shown as coaches for passengers, while carts were used to carry beverage barrels and other heavy loads. Things began to change in Europe during the 17th century when noblemen gradually abandoned their favor of horseback and took up riding in coaches and carriages. Some two centuries later in England, John Blenkinsop revolutionized carriage transport when he put the first wheeled steam engine on rails. It is perhaps from this point that the modern fixation on the wheel as the world’s greatest invention began. is an illustrator based in New York, where she attends the School of Visual Arts.